Nothing makes us happier than seeing someone using our products. If we can make your day a little better and your world a little brighter by giving you a reason to get outside and experience our beautiful planet, then we have done our job. We can't wait to hear how you're enjoying your straps. We hope you give our products a try and don't forget to go on an adventure every chance you get! 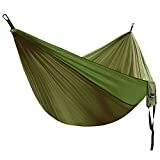 FASTEST & EASIEST WAY TO HANG UP YOUR HAMMOCK! 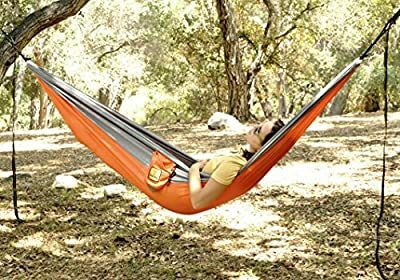 Unlike the other straps you will find on Amazon, ours are very easy to use and you can have your hammock set up in under a minute. It is so easy, even the kids can do it. You don't have to tie a single knot. 100% SATISFACTION GUARANTEE - So you don't have to wonder if you are risking your hard-earned money. If you don't love them just let us know. 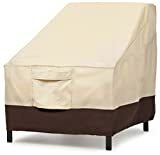 We take great pride in taking care of our customers. Don't take our word for it... just look at our reviews. 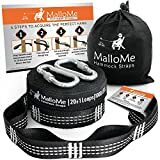 EASILY ADJUSTABLE AND WON'T STRETCH - These straps are very strong and they will not stretch out. 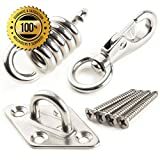 Move the included carabiners to any one of the loops to attain the perfect height and comfort level. Each strap is 10 feet long with 19 loops on each strap (many adjustments). DISCOUNTS!! That's right. 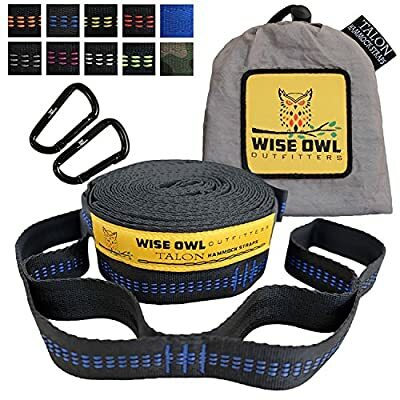 When you purchase these awesome Talon Straps you get great discounts on our other gear including camping hammocks that you can purchase too. Look for our discounts in the "Special Offers" section because when you bundle our gear you can save even more money. BE NICE TO THE TREES! 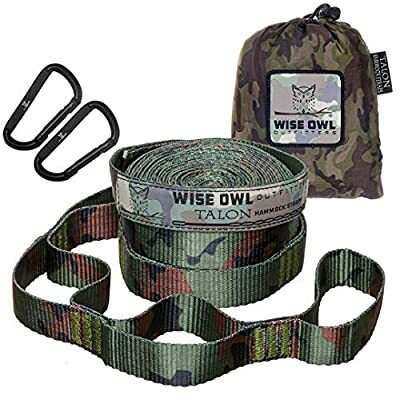 These straps are tree friendly because they are 1 full inch wide. 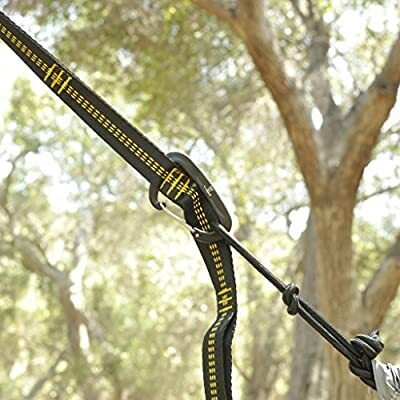 The strap sits flat on the tree so it will not damage it. 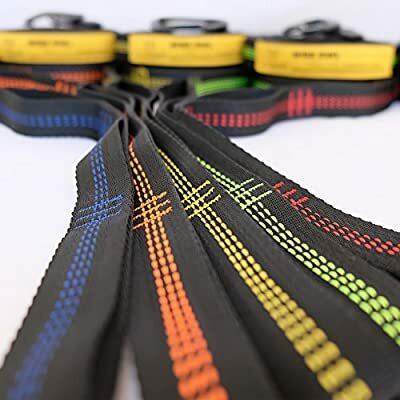 If you are taking a hammock camping, many camp sites will not allow you to use rope, so be prepared with these straps. 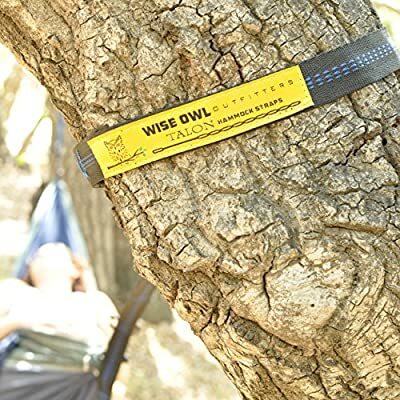 They work with hammocks like ENO, Himal, DoubleNest, SingleNest & More.